The Casato di Melzi Primitivo is grown in Salento / Apulia. In this warm region, the harvest is already carried out in early September and at Casato di Melzi, it is madew by hand, which is rare in this region but well reflects the standards of quality by the Biscardo family. 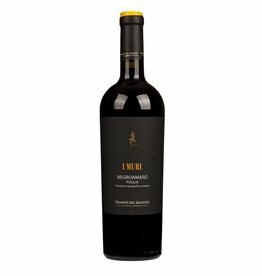 The result is a fruity Primitivo, round and supple , soft, velvety and charming on the palate. A mouth-watering red wine, which can be paired with a numerous of Italian dishes, or as an ideal wine for larger parties.